mr.hertzian cone wrote: excellent! looks like the flakes really fly across the surface! On that first pass I overshot every flake. I really tried not too, but just couldn't. That convexity is amazing for flaking (till I overshot it out and had to put it back in by more flaking). I did the big one today, must buy some more tomorrow. 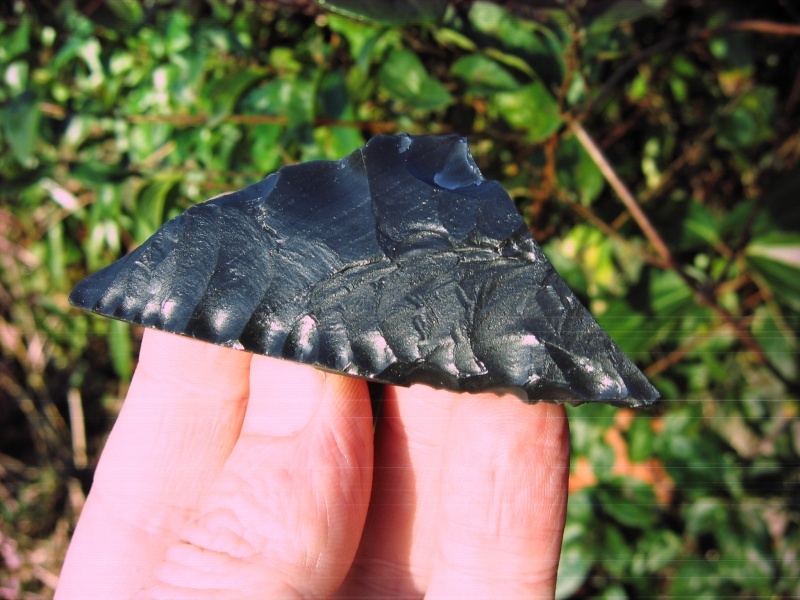 [img] [/img]Mr. G kindly sent some exotic rock, this is the Dacite slab, part knapped. 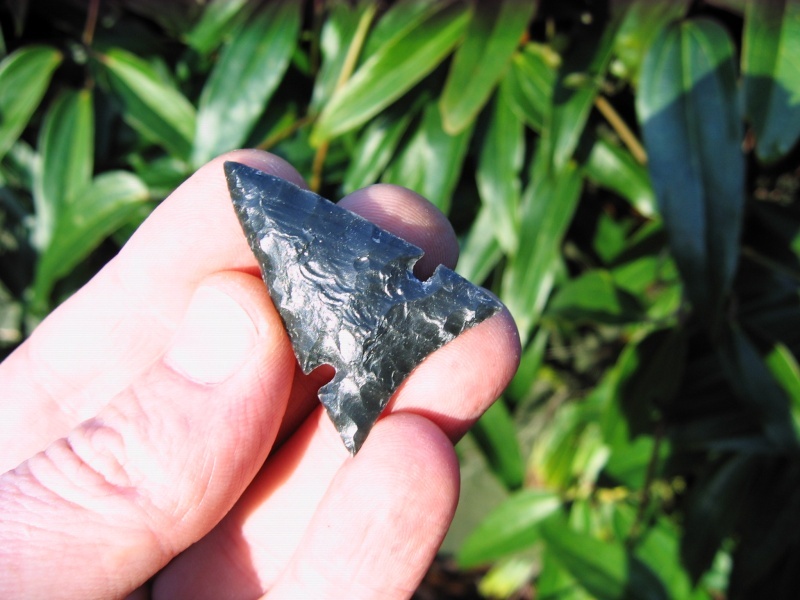 And this is the side notch arrowhead it became, lovelly stuff to knap, it got small very quick! hmm.. maybe the obsidian next!